It’s been settled law for five decades—but now the Supreme Court might shoot it down. the March on Washington, John Lewis saw a photo in The New York Times of a group of black women demonstrators in Rhodesia holding signs that read: one man, one vote. The 23-year-old chairman of the Student Nonviolent Coordinating Committee (SNCC) adopted the phrase as a rallying cry against the disenfranchisement of black Americans in the segregated South. “‘One man, one vote’ is the African cry,” Lewis said at the Lincoln Memorial. “It is ours, too. It must be ours.” Following the March on Washington, SNCC made “One man, one vote” its official slogan. That the Supreme Court is even hearing the ‘Evenwel’ case is a major victory for the plaintiffs. While literacy tests and poll taxes kept African Americans from registering to vote, malapportionment helped preserve the power of segregationists in places like Lowndes County, Alabama, which in early 1965 was 80 percent black but didn’t have a single registered African American. The county’s 15,417 residents had as many representatives in the Alabama Senate as the 600,000 residents of Birmingham’s Jefferson County. The Supreme Court ended this perversion of democracy in a series of landmark cases in the 1960s, most notably Baker v. Carr and Reynolds v. Sims, ruling that legislative districts had to be roughly equal in population. “The conception of political equality from the Declaration of Independence, to Lincoln’s Gettysburg Address, to the Fifteenth, Seventeenth, and Nineteenth Amendments can mean only one thing—one person, one vote,” wrote Justice William Douglas. Chief Justice Earl Warren famously added, “Legislators represent people, not trees or acres.” The Court’s rulings shifted power from rural to urban areas, where people actually lived. In tandem with the Voting Rights Act (VRA) of 1965, the “one person, one vote” cases led to “the greatest peace-time change in representation in the history of the United States,” wrote Harvard University political scientists Stephen Ansolabehere and James Snyder. Warren called it his most important achievement on the bench. But on December 8, the Supreme Court will hear a new challenge to “One person, one vote” in Evenwel v. Abbott, brought by the same conservative organization, the Project on Fair Representation, responsible for the gutting of the VRA in the 2013 case Shelby County v. Holder. 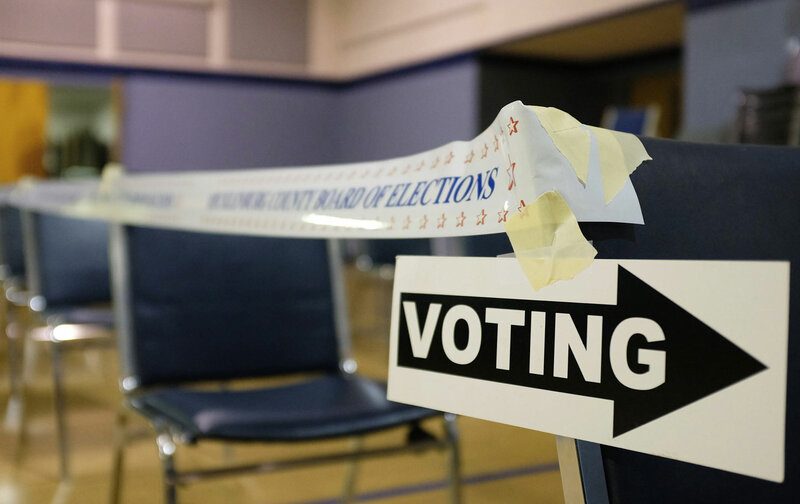 The obscure Evenwel case, which challenges the drawing of State Senate districts in Texas, will have major ramifications for political representation in the United States. A three-judge federal court in Texas dismissed Blum’s claim as “a theory never before accepted by the Supreme Court or any circuit court.” But if he prevails, legislative districts would become older, whiter, more rural, and more conservative. “It clearly is a case designed with the intent to shift political power from urban areas to rural areas and, quite frankly, from Democratic areas to Republican areas,” says lawyer Emmet Bondurant, who argued the 1963 malapportionment case Wesberry v. Sanders. Of the 38 congressional districts where more than 40 percent of residents are ineligible to vote, for example, 32 are represented by Democrats, in such cities as Los Angeles, New York, Houston, Dallas, Miami, and Chicago. up the eighth of 10 kids in the small South Texas farming community of Palito Blanco. “For me, it was never about being a lawyer or a judge or in elected office,” she says. “I just wanted to get out of the hot sun. My dream was to work in an air-conditioned building; I didn’t give a damn what it was.” She started as a legal-aid lawyer in the 1980s before becoming a city judge, Houston’s chief financial officer, and, in 2013, a state senator. Her district, which is 74 percent Latino, encompasses the blue-collar east end of Houston’s Harris County. A ruling for the plaintiffs in Evenwel would hurt Texas more than any other state, because of its diversity and large number of nonvoters. One of four majority-minority states in the country, Texas is 44 percent Anglo, 39 percent Latino, 12.5 percent African-American, and 4.5 percent Asian-American, with 7 million children, 2.7 million adult noncitizens, and 2.1 million unregistered voters who could be excluded from representation. And no district in the state would change as much as Garcia’s. To accommodate more eligible voters, her 813,000-person district, which includes many children and noncitizens, would swell to more than 1 million—almost twice as many constituents as most members of Congress represent—and would no longer have a Latino majority. “It would make it more difficult to adequately handle constituent complaints and to provide all the services I do now,” she says. If Blum’s side wins, the number of majority-Latino districts in the Texas Senate would drop from seven to five, likely resulting in the fewest Latino-held seats since the 1980s, according to the Texas Senate Hispanic Caucus. Seats would also be eliminated in the Texas House of Representatives in the Latino areas of West Texas and South Texas, as well as in urban areas like Houston and Dallas. A negative ruling would exacerbate the many ways in which representation is already tilted against minority communities, in Texas and elsewhere, through gerrymandering, mass incarceration, restrictions on voting, economic disinvestment, and residential segregation. People of color make up 37 percent of the US population but hold only 10 percent of elected seats; Latinos and Asian Americans are 22 percent of the population but hold fewer than 2 percent of elected offices. In 11 states, there is not a single Latino or Asian-American state legislator. Unlike the VRA, which has been challenged since its passage, the “One person, one vote” doctrine was thought to be settled law. After all, elected officials are supposed to represent all of their constituents: voters and nonvoters, citizens and noncitizens, adults and children. Total population is also the easiest, most accurate metric to use when drawing district lines, experts say; going by current voting-age population is unreliable, and the Census Bureau doesn’t ask people their citizenship status. “It’s utterly clear from the 1960s cases that the Supreme Court knew the difference between total population and voters,” says Bondurant. The Supreme Court declined to grant two previous challenges from Blum on this issue. That the Court is even hearing the Evenwel case is a major victory for the plaintiffs, regardless of the final outcome. Clarence Thomas was the only justice who had previously raised questions about the “One person, one vote” principle. Now nine justices will be able to do so. Yet another landmark achievement of the 1960s is under siege.